In most cases we are able to offer a replacement battery service while you wait. All battery replacements we provide a 1 year warranty. Can't find what you are looking for? Feel free to contact us directly to speak to one of the team. As an OMEGA authorised service centre, at AMJ Watch Services we are fully trained and experienced in caring for your OMEGA timepiece – whether it’s a vintage or new model. 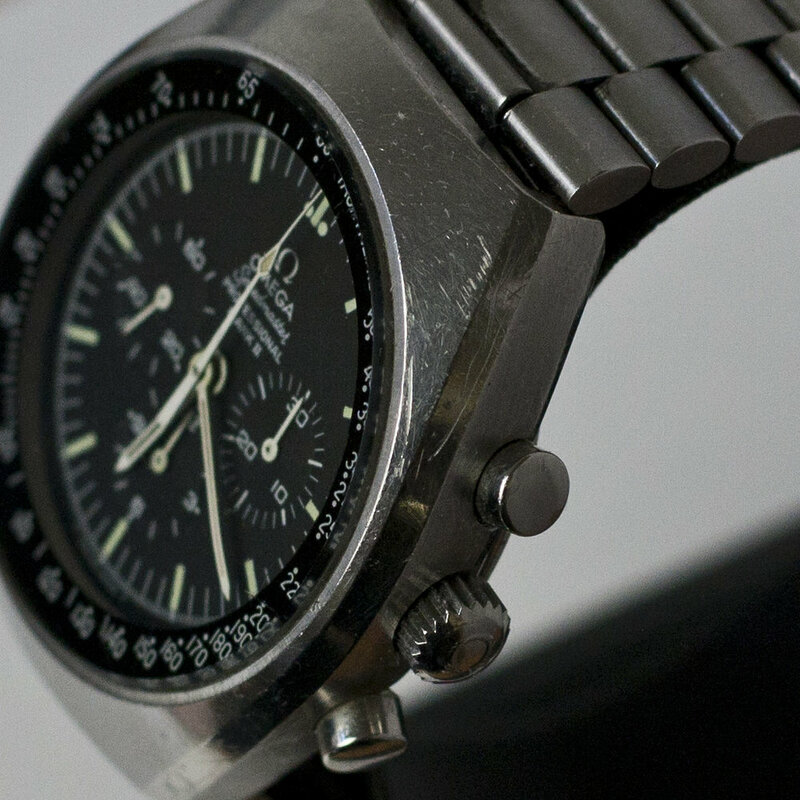 Our repair and service range includes full watch refurbishment and polish, battery replacement and reseal, glass replacement, strap repair, and water resistance testing – our fast and affordable service caters for all models of Omega watch, such as the Seamaster, Speedmaster and Constellation collections. OMEGA recommends that you have your watch checked for water resistance once a year and a full service every four to five years – at AMJ Watch Services we take great pride in being an official OMEGA service agent and our skilled and trained watchmakers treat each watch with dedicated care and attention. Our family run business is based in the historic jewellery district of Hatton Garden in London – have your watch serviced by our expert watchmakers by sending it to us in a secure, insured FREE prepaid postage box. After our team have evaluated your OMEGA watch, we’ll be in touch with a quote and you’ll be kept up to speed during the entire service and repair process before returning it safely to you.